Awesome product........kinda hate to share it really! Lol. Will definitely be purchasing more!!! By far the best additive I have used. Makes things so easy to get that special drink ready!!!! Very good stuff, we are boaters and it's so handy to have on board. I would recommend this to anyone. A must for all Caesar Lovers! I tried the Level 2 and it was just delicious! Can't wait to try the rest. I highly recommend this product! 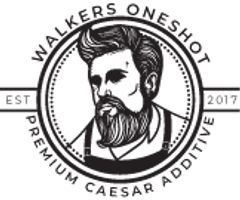 This is my second Walker's One Shot product. (1st was level 1. I enjoyed both but like level two better. I will try all four levels eventually then decide which I like best, but one thing is for sure, I can't imagine a Caesar in my future without Walker's one Shot.